Whether you need a new set of keys or a new kitchen installed, make A1 Carpentry & Locksmith your first call. We are located in Stowmarket, Suffolk. We can react and be there for you in no time. Just give us a call, or drop us a message on our contact page. Don’t risk being taken advantage of by someone who still has a set of keys – call us today and we’ll come round and make sure that all of the locks are replaced with new ones that conform to the latest British security standards. We take your home security very seriously, and our services are some of the most trusted in the region. Also unlike other locksmiths we offer a no call out fee promise. So get in touch! All of our locksmiths are trained to the highest standards by Matrix, to ensure that you get a fast, efficient locksmith service. Just want a spare set of keys to keep just in case? 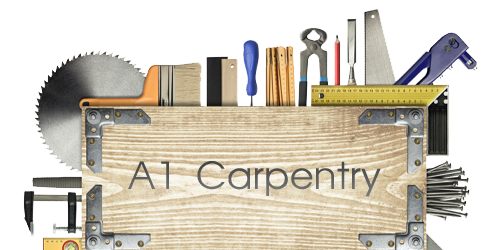 A1 Carpentry & Locksmith is the only company you need. We also provide a 24 hour emergency service, so if you find yourself locked out of your house, don’t panic – we can help you! Just fill in the form and describe what you might be after. We will get back to you in no time. UPVC door was locked shut (broken lock), door opened, temporary lock fitted, lock replaced, took 2 visits because needed to order lock. Elderly mother in law (91) needed lock replacing asap. Arron went out of his way to do everything possible immediately. First time I have used Checkatrade and chose him because of his feedback. Having seen him I understand why he has such a high rating and would certainly use him again in similar circumstances. A couple of weeks ago I left home without my keys and locked myself out! Struggled to find a locksmith who could attend on the day - the one who was available gave me a very high quote. Contacted A1 and his quote was more than 30% lower. He met me at my house when I got home from work and using a wonderful U-shaped contraption actually managed to retrieve my keys and gain access without having to remove the lock or damage the door! Very polite and friendly into the bargain - I would highly recommend A1 if you need the services of a locksmith! Our highly trained and experienced staff are on hand to help with everything from minor repairs to complete refurbishment, which means that it’s usually faster, easier and cheaper to get it all done by us instead of dealing with several different contractors.